The preliminary contract formalizes the promise to sell and purchase the immovable by the parties in a transaction. By signing it, the vendor and the purchaser are legally committed. You must thereafter purchase the apartment for the agreed price. And except for exceptions in Law or in the contract, it is difficult if not impossible to walk away from a preliminary contract without financial and legal consequences. The builder or developer has the obligation to deliver the immovable in the delays and in accordance with the specifications agreed to in the preliminary contract, and to transfer the title of the property. Unless you have consulted him before signing the preliminary contract, which is an excellent idea, the notary will get involved only at the end of the transactional process, after the purchaser and the vendor have agreed on the essential provisions of the transaction. Be aware that this professional, even though well intentioned, is not a magician, which means that he will not be able to “undo” what has been agreed to in the preliminary contract. WHAT YOU SHOULD KNOW! 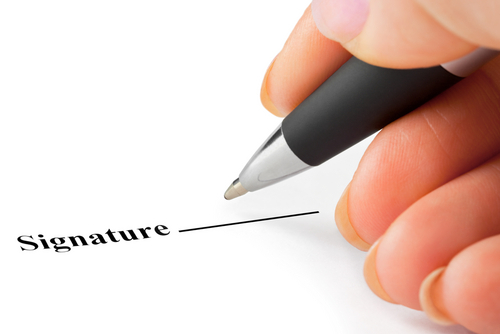 As any contract, you must read and understand the preliminary contract before signing it. As a precaution, take your time and review it peacefully and if needed, show it to a professional (lawyer or notary). WHAT TO KEEP IN MIND: If you purchase an already built or to be built immovable to live in it, from a builder or a developer, the sale must necessarily be preceded by a preliminary contract. In the absence of this contract, you will be entitled to annul the sale, if you can show you have suffered a serious prejudice. WARNING! The preliminary contract signed with a developer can be qualified as being an “adhesion contract”, as you adhere to it without having been able to negotiate its provisions. In other words, this contract is generally imposed, as is, by the developer. You therefore should read it carefully, as preliminary contracts prepared by developers are often one-sided. If you have any doubts about its content, consult a lawyer or a notary with experience in co-ownership Law. CONSULT THE PUBLICATION: Purchase and sale of a condo: Everything you should know at pages 138 and following.